Go Beyond Expectations with world-class software. Civil Designer is an integrated design system encompassing roads, earthworks, sewer, water & stormwater networks. AllyCAD is a powerful user-friendly CAD package. Learn how to use your software to its full potential and speed up your design time. 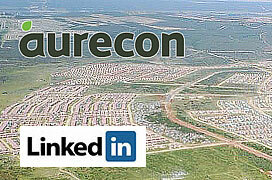 We also offer project based training and custom requirements. Superior Support - "We prefer the Knowledge Base software above any other in the market. We don't know of any other software developer that can give us this kind of personal attention." 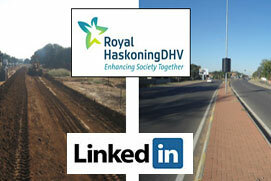 Royal HaskoningDHV - Congratulations to Royal HaskoningDHV for the Nyerere Drive and North Ring Road, Gaborone, Botswana. 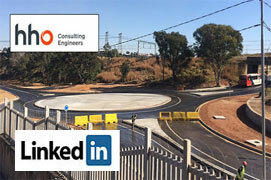 HHO Consulting - Congratulations to HHO Consulting Engineers for the Rea Vaya Selby Bus Rapid Transit System (BRT) Depot – New Roundabout Access in Johannesburg, South Africa. Aurecon - "I've used Civil Designer on the design and feasibility studies for water & sewer pump stations, earth dam embankments & bulk water pipelines throughout my engineering career." 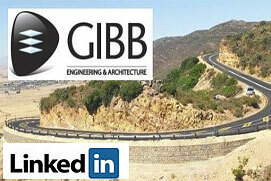 GIBB - "Civil Engineering provides the infrastructure for development and growth that is so often taken for granted. It is great to have such a strong package like Civil Designer to work with." 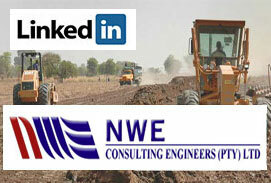 design, architects, surveyors, mechanical & structural engineers.